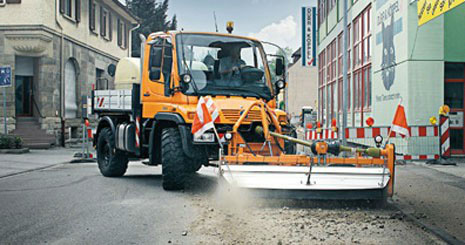 Roads and maintenance with efficiency. 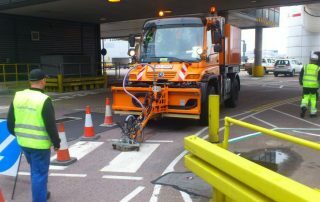 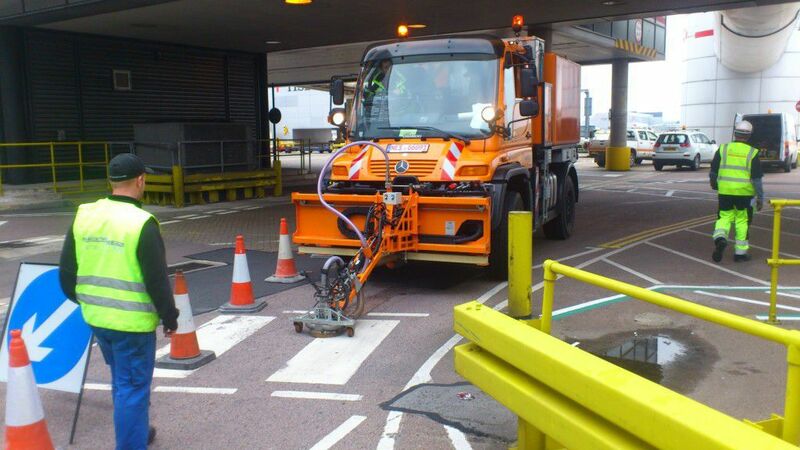 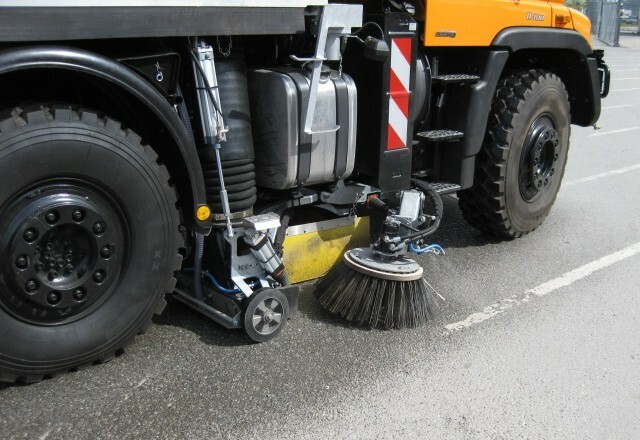 Highways maintenance demands the most exacting accuracy and efficiency, not just for the safety of operatives and road users, but also to ensure long term cost-effectiveness. 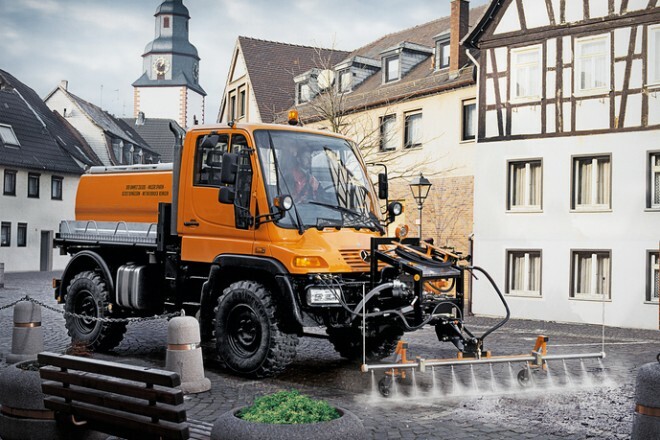 The Unimog supplies the solution. 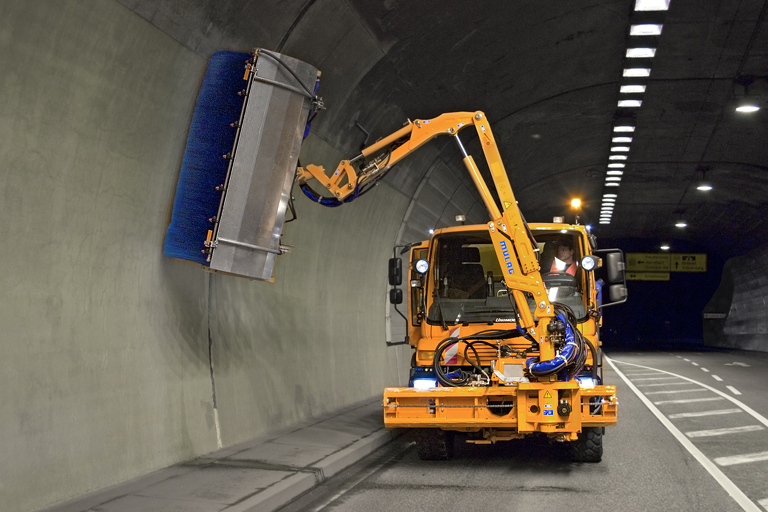 Road tunnels must be cleaned to ensure correct lighting levels, and road signs must be clearly visible, especially in heavy traffic areas. The Unimog solution, in partnership with Mulag, is a range of front-mounted washing arms, operated by the front PTO, with the rear payload carrying a tank of 3,000 litres of clean water. 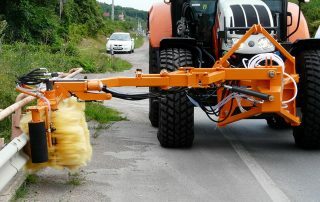 Efficient brushing means minimum use of water, no need for detergents, and no pollution. 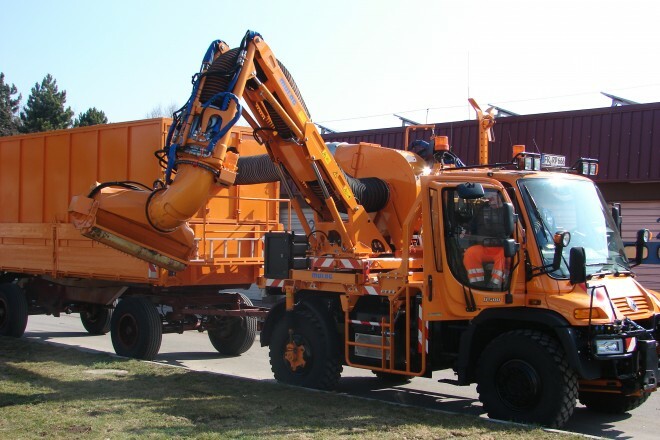 And for fast and permanent repairs to potholes and highway degradation, the Schmidt-designed Road Repair Patcher mounted on a Unimog will provide the truck-style benefits of driver comfort, fast on-road speeds and exceptional fuel efficiency, with the ability to operate safely in country lanes as well as A-roads. 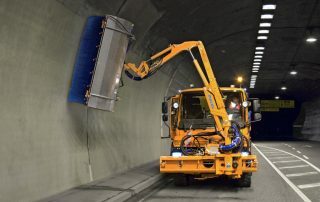 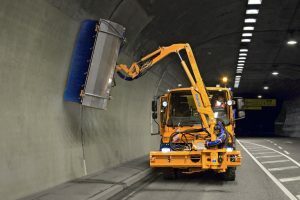 These are just two examples of how the Unimog provides cost-effective, highly productive and efficient solutions on highways, The Unimog philosophy of highways maintenance is to get the job done right, quickly and at the first visit. 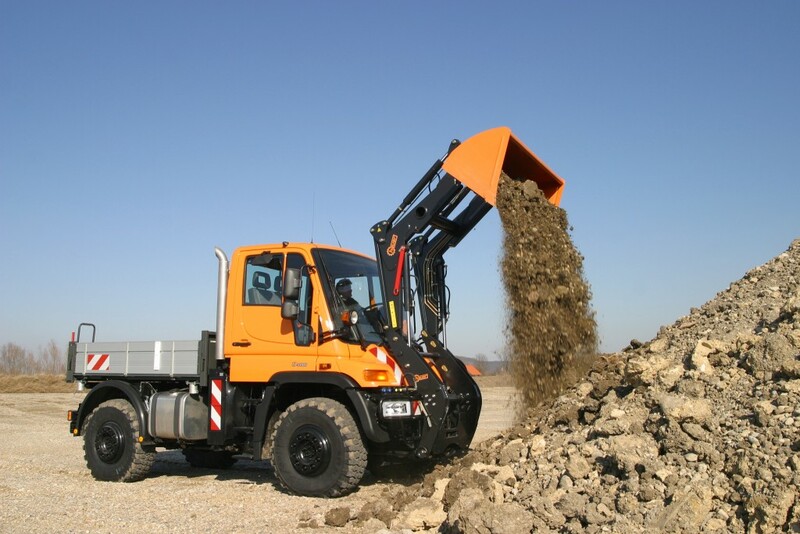 Unimog is well know for its true versatility, and is a vehicle which can be used worldwide with over 1000 implements for a wide range of jobs. 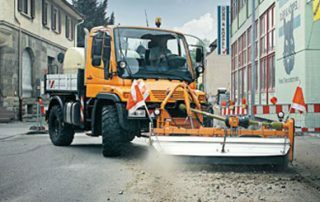 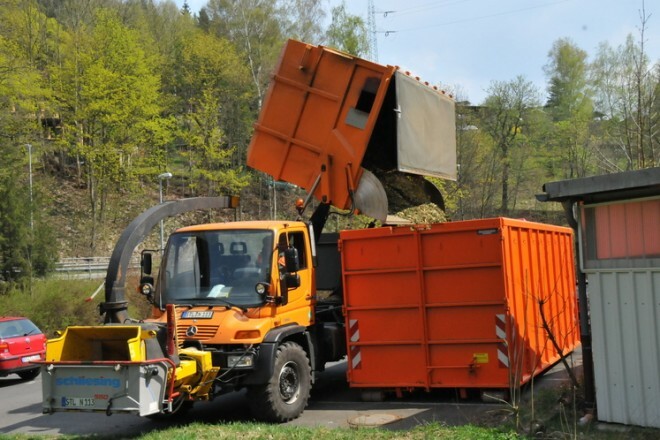 For municipal or city use, it can be the vehicle that does everything a city could possibly ever need, with an assortment of attachments and implements. 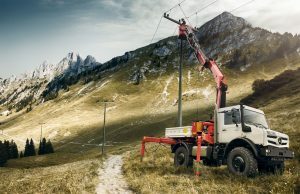 Install power poles and lines, use it for excavating, digging, cleaning, and trimming trees and grass. 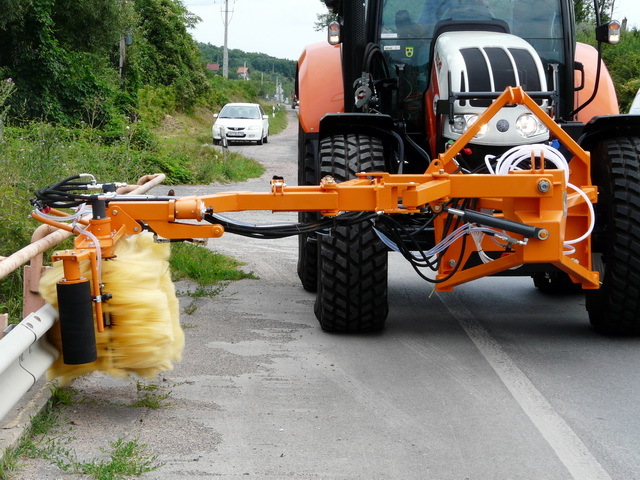 Maintain highway barriers and dividers easily, use it with a vacuum attachment to clean leaves and debris, or add a paint attachment to paint road lines and crosswalks. 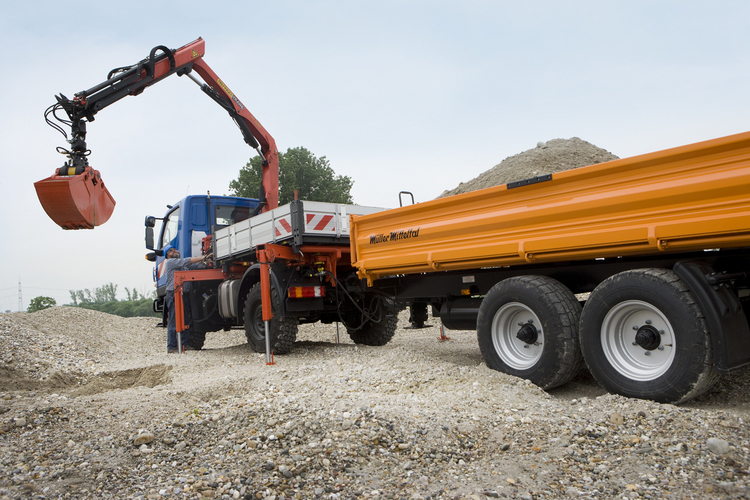 If any of these sound interesting or of use to you, please feel free to contact us today.